During pregnancy, there’s a lot of talk about the placenta, and for good reason: it is quite the powerhouse! It plays a major role in your pregnancy health and the health of the fetus, and is a unique and fascinating organ in itself. In more earthy circles, the placenta is also nicknamed the “tree of life”—partly because its function is life-sustaining, but also because when looking at it, the veins do resemble a tree. The placenta is a pancake-like organ that attaches to the inside of the uterus during pregnancy. The umbilical cord connects the fetus to the placenta so that nutrients, blood, and oxygen can get to the fetus from the mother. It also helps remove waste from the fetus’s blood. The placenta also produces hormones related to pregnancy, like human chorionic gonadotropin (hCG), progesterone, and estrogen. The placenta has two components to it: the maternal placenta and the fetal placenta. The maternal placenta is derived from uterine tissue, and the fetal placenta originates from the blastocyst that becomes the fetus. After the baby is birthed, the third stage of labor is the delivery of the placenta. Your uterus will likely continue contracting after the baby is born, to help you expel the placenta. This happens a few minutes to a half hour after birth. Your doctor will examine it to make sure there are no abnormalities, and that it’s intact and nothing remains in your uterus of the placenta (this is known as a retained placenta, and can be dangerous). Some people choose to keep their baby attached to the placenta for a bit post-birth. This is called a lotus birth. In a lotus birth, the umbilical cord is not cut, so the baby remains attached to the placenta. The cord will naturally break off anywhere between 3-10 days after birth. This practice is done in some other mammalian species and has been found in birth anthropology. It is much less common in the West. During pregnancy, a typical placenta will attach to the inside of the uterus, usually on the upper part, away from the cervix. It can attach to the front or back, which is normal—but if it starts to cover the area near the cervix, this is a problem. Placental abruption occurs when the placenta separates from the uterine wall prior to delivery; this can be partial or complete. When this happens, the oxygen and nutrient supply to the fetus is reduced or cut off, and hemorrhaging may occur in the mother. Signs of a possible abruption can include vaginal bleeding, abdominal pain, contractions, and a firm abdomen. Placenta previa is a condition in which the placenta covers all or a portion of the cervix, which is the opening to the uterus. If the condition is found during early pregnancy or the second trimester, it’s still possible for the condition to remedy itself. It’s when it occurs in the last trimester or later in the pregnancy that this becomes a cause for concern. This is dangerous because as you get closer to the start of labor, the cervix thins out and dilates. The placenta or blood vessels in the placenta might tear or be damaged, causing hemorrhaging. Vaginal bleeding is the most common symptom, and an ultrasound can determine whether placenta previa is present. Another complication is placenta accreta, and is very serious. This condition involves the placenta remaining attached to the uterine wall after birth, with either all or part of it remaining attached. If the placenta attaches to the muscles of the uterus, it is called placenta increta; if it grows through the uterine wall, it is called placenta percreta. Placenta accreta is often asymptomatic, although it can cause some third trimester vaginal bleeding. If part or all of the placenta stays in the uterus after it’s delivered, this is a retained placenta and can be life-threatening—but it is treatable. If the placenta isn’t naturally expelled, the doctor or midwife will help you deliver it. Once it’s out, as mentioned, she will examine it to make sure it is whole. If part or all is retained, the risk of hemorrhage and infection increases. In order to get the placenta out, sometimes you’ll be encouraged to breastfeed, since the uterus contracts while you nurse. Other times, medications might be given to help the uterus contract, or the doctor might remove the placenta manually. If nothing works, surgery might be necessary, although this is often only used as a last resort because of the potential complications from surgery. There’s been lots of hype recently about eating your placenta, usually in the form of capsules. Celebrities and everyday moms alike have touted the benefits of eating the placenta. Animals routinely consume the placenta after birth, and Chinese medicine has been an advocate of the practice for ages. Called placentophagy, it has been said to help boost milk supply, help with postpartum depression and hormone imbalances, and reduce the risk of anemia. The evidence on whether there’s any real benefit is mixed, and studies done by traditional medical doctors haven’t found any benefit. 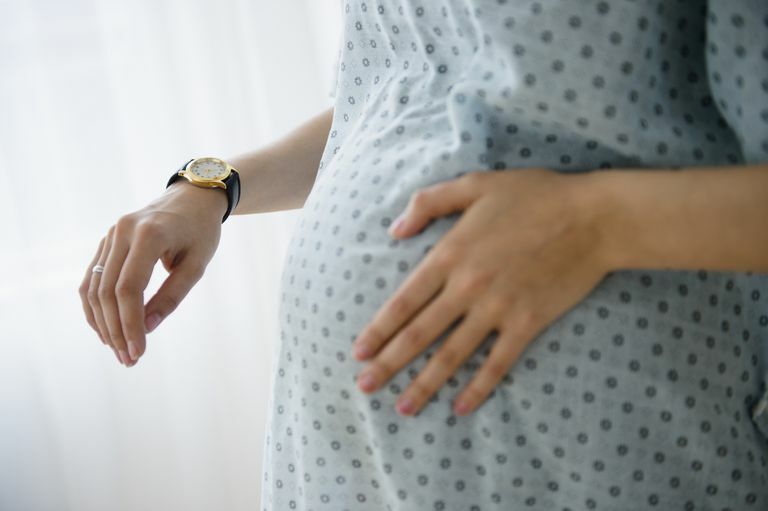 The Centers for Disease Control and Prevention put out a warning about eating the placenta, especially when there is infection with Group B strep. If you’re interested in placenta encapsulation and consumption, talk with your doctor or midwife. Make sure that the person encapsulating is certified and follows all guidelines for safe encapsulation. Educate yourself about the potential benefits and possible drawbacks of consumption, and if you notice any side effects when taking it, call your doctor immediately. Placenta accreta. Mayo Clinic website. https://www.mayoclinic.org/diseases-conditions/placenta-accreta/symptoms-causes/syc-20376431 Published June 5, 2018. Placenta previa. March of Dimes website. https://www.marchofdimes.org/complications/placenta-previa.aspx Published January 2013. Placental abruption. Mayo Clinic website. https://www.mayoclinic.org/diseases-conditions/placental-abruption/symptoms-causes/syc-20376458 Published January 12, 2018. Retained placenta. American Pregnancy Association website. http://americanpregnancy.org/pregnancy-complications/retained-placenta/ Updated July 31, 2017.